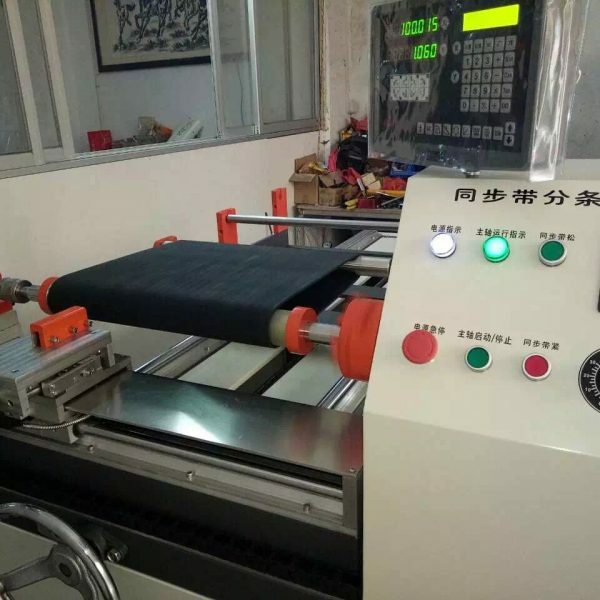 LOYICN fully automatic endless timing belt cutting machine is available now, more faster and effective, save your time ,higher the productivity, lower labor costs. 1. 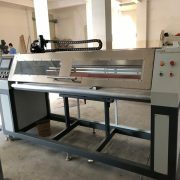 The cutting machine was engineered for cutting timing and flat belt sleeves. 3. 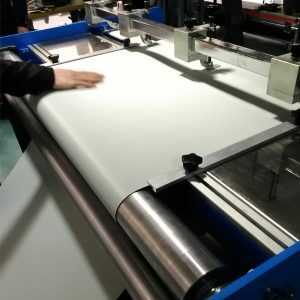 Cutting speed is variable (controlled by steady frequency inverter) Digital Display of the cutting width. 6. 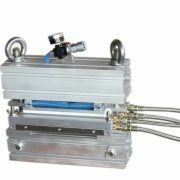 Pneumatic system, help to support hold the cutting shaft. One air compressor is built-in. 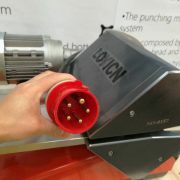 Also can remove it, if already have air compressor in your workshop.Cutting Shaft is exchangeable. 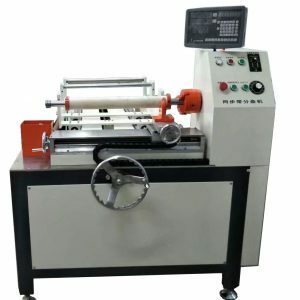 The cutting machine was engineered for cutting timing and flat belt sleeves. The slitter is one of the helpful tools in your shop, it can help you lower labour costs and higher productivity. 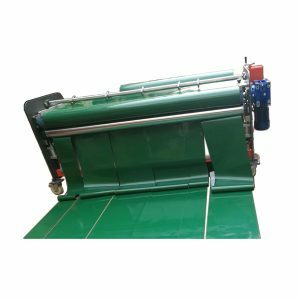 The slitter can reduce the storage and costs of belts. 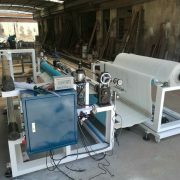 The slitter can supply immediate requirements of your customers. Make a profit. 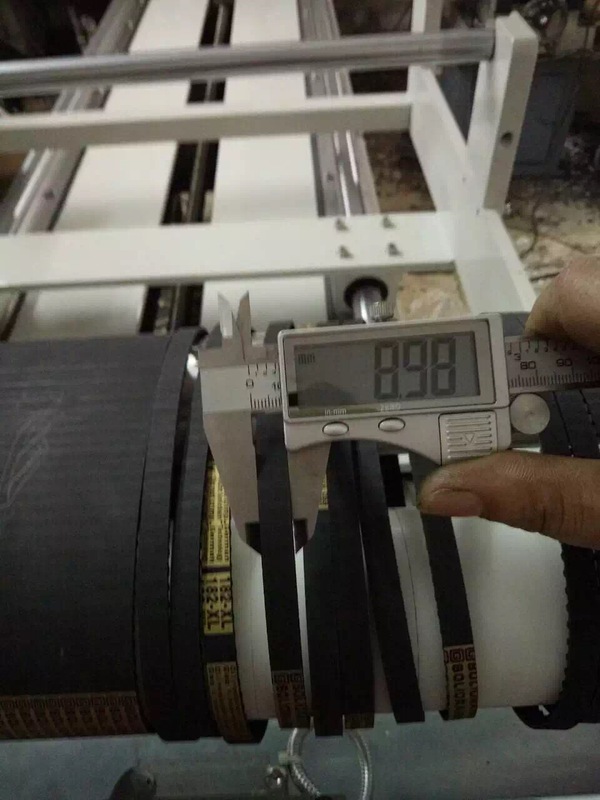 Any other special requirement in belt width and length can be customized . 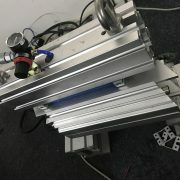 > Pneumatic system, help to support hold the cutting shaft. One air compressor is built-in. Also can remove it, if already have air compressor in your workshop. >Main body free of assemble. Other parts easy bolts connection. Easy maintenance. 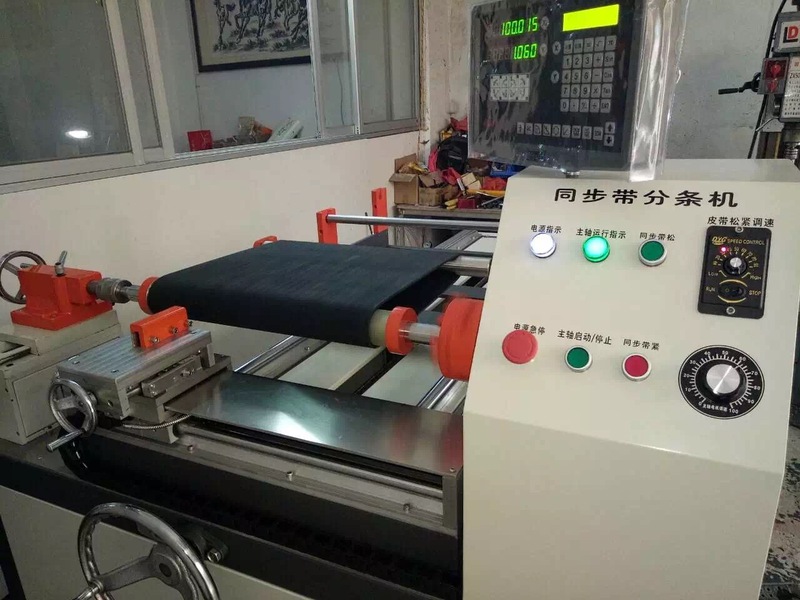 >The feet of machine are adjustable, make the machine horizontally. Suitable for different floor. >Knife holder forward and back, use 4pcs cross guide rail, move accuracy under 0.01mm. 2. Semi-automatic. 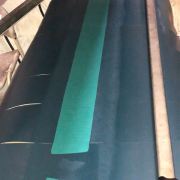 Setting belt width, manual cutting motion. Suitable for medium size and medium quantities. 3. Automatic. 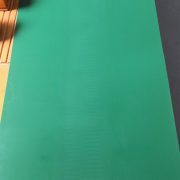 Very helpful for small belt, and high quantities. 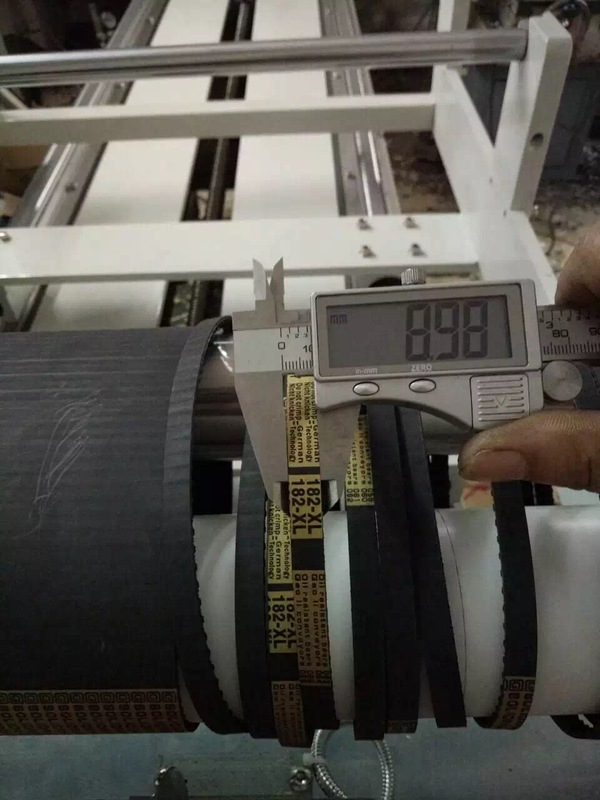 For example, need cut into 200~300pcs small belt. 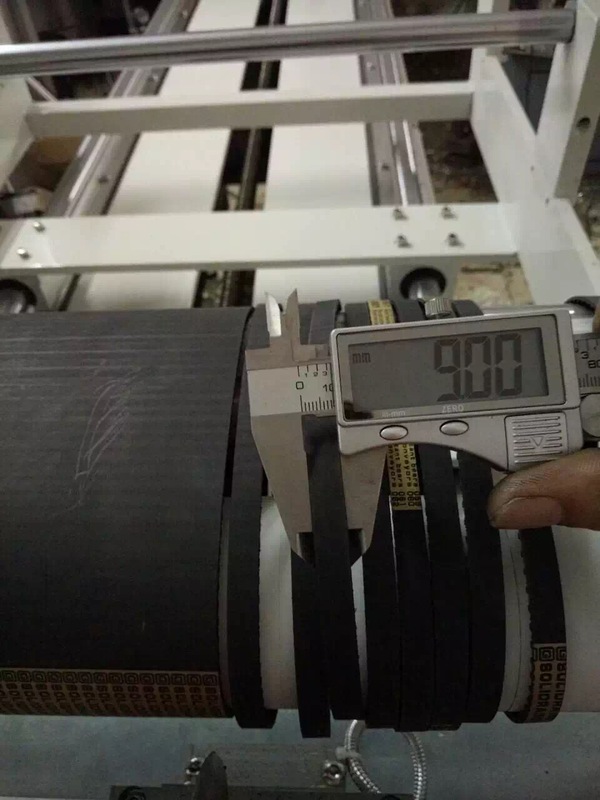 >Special belt lengths and belt widths. 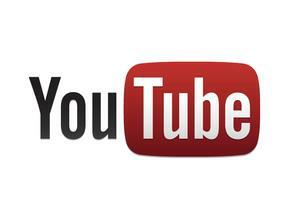 >Special control panel and function requirements, like data output etc.